Did you know that the 2018 SIGUCCS Conference marks the five-year anniversary of the Lightning Talks format? During this period, attendees gave over forty bite-sized presentations, and these Lightning Talks have turned into one of the more popular sessions during conferences. For those who are curious about these mini-presentations, let’s answer some of the more common questions about these sessions. So what happens during Lightning Talks sessions at SIGUCCS conferences? 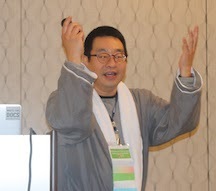 During Lightning Talks sessions, there are typically about five presenters. Speaker have 7 minutes each to present, followed by 2-minute question-and-answer period (during the Q & A, the next speaker prepares for their talk). The talks and Q & A periods repeat until all speakers have presented. There is also a general Q & A forum at end of the session. Seven minutes? Why would anyone want to give such short presentations? Lightning Talks offer an interesting take on traditional (longer) full-length presentations. They force speakers to distill their ideas into key points and encourage concise presentations. Instead of delving into the weeds, speakers focus on high-level ideas. Some presenters also use this format to work out nascent ideas which bloom into full-length presentations at a later time. For first-time conference attendees and those who are afraid of public speaking, Lightning Talks are a great gateway into giving presentations. Why did SIGUCCS add Lightning Talks in their recent conferences? Lightning Talks offer opportunities for conference attendees to get involved. By having at least one session with Lightning Talks, attendees have the opportunity to be exposed to more presentations and ideas. Speakers have an option of giving shorter talks instead of (or in addition to) presenting a full-length session. Furthermore, other Special Interest Groups (SIGs) of the Association for Computing Machinery (ACM) have also incorporated Lightning Talks in their conferences. How should I prepare for a SIGUCCS Lightning Talk? First of all, submit your ideas to SIGUCCS 2018 Conference Call for Proposals (deadline is February 16). Once selected to present, arrange your ideas into a logical order with flow—you want your audience to fluidly follow your story. Slides are optional during these presentations, as are conference papers. Do attendees actually get hit by electrostatic discharges? Where can I learn more about Lightning Talks? Fortunately, this short presentation format is becoming widely adopted at various industries’ conferences and events. 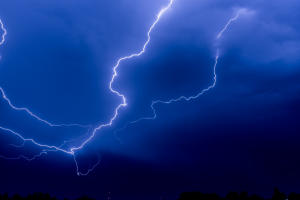 The American Library Association published best practices for Lightning Talks, and there are useful guides from the Software Sustainability Institute and Opensource.com. For SIGUCCS-specific Lightning Talks topics, the SIGUCCS Slack channel and email listserv are great places to ask question and share ideas.